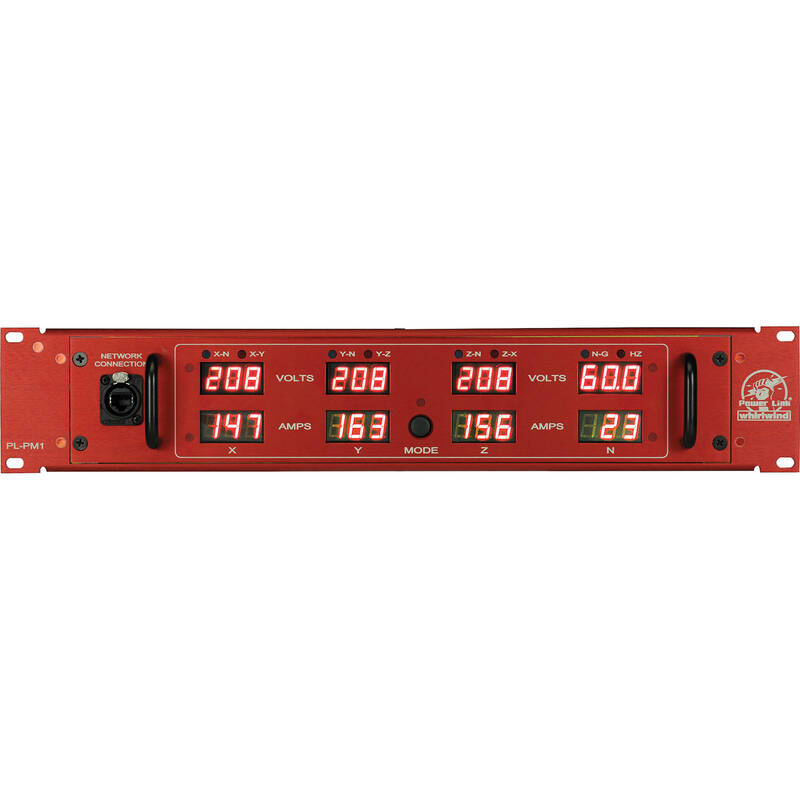 The PL-PM1RJK2 Power Meter from Whirlwind is a power meter kit for an already constructed and wired powered distribution system The unit is intended to monitor 3 phase Y power with three 120 Volt AC legs or single phase with two 120 Volt AC legs. It is intended to monitor the line side voltage and load current of both portable AC distribution and permanent power distribution systems. It measures the frequency of the AC line voltage from 47 Hz to 63 Hz with an accuracy of 0.1Hz. The kit is equipped with remote monitoring capability built in. The PL-PM1RJK2 has a Display Parameters menu that allows for display color changes and the setting of alerts to indicate out of range voltage readings. The meter reading refresh rate can also be changed on this screen. The system has a watchdog timer such that if measurements stop being displayed, the system will automatically reset itself and resume measurement. The PL-PM1RJK2 model provides an Ethernet connectivity for network monitoring of power distribution parameters in real time. It provides monitoring from any location or multiple locations simultaneously by accessing the Ethernet LAN that the meter is connected to.